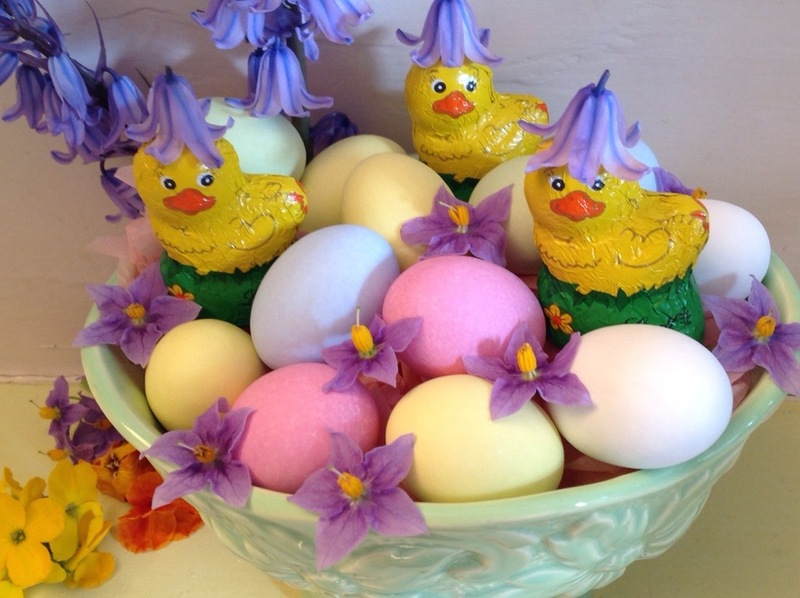 I put them in the green bowl I got from the charity shop last week and then got a bit carried away making bluebell hats. 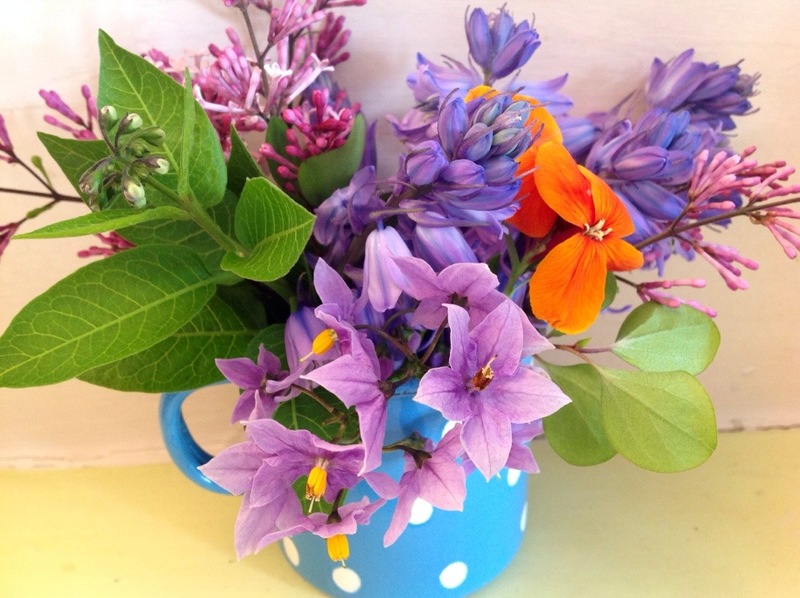 I put the bits of spare flowers in my little blue spotty enamel cup. 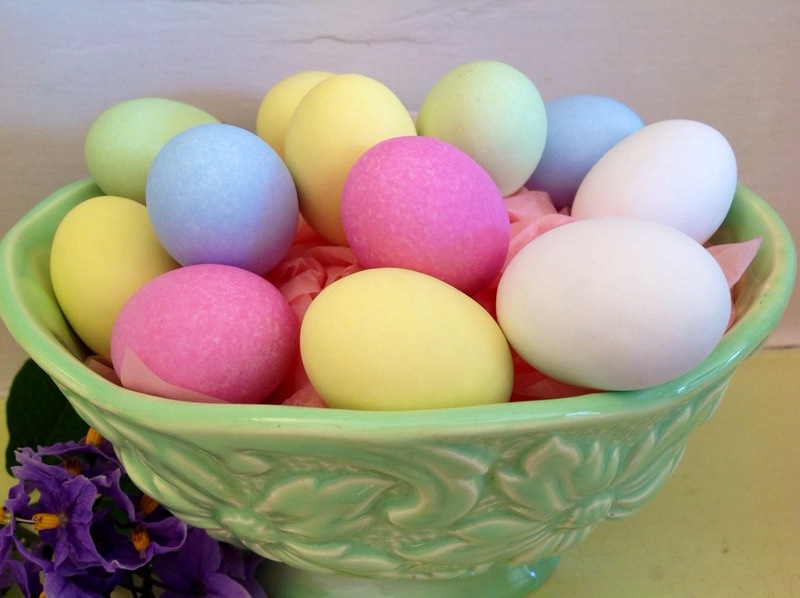 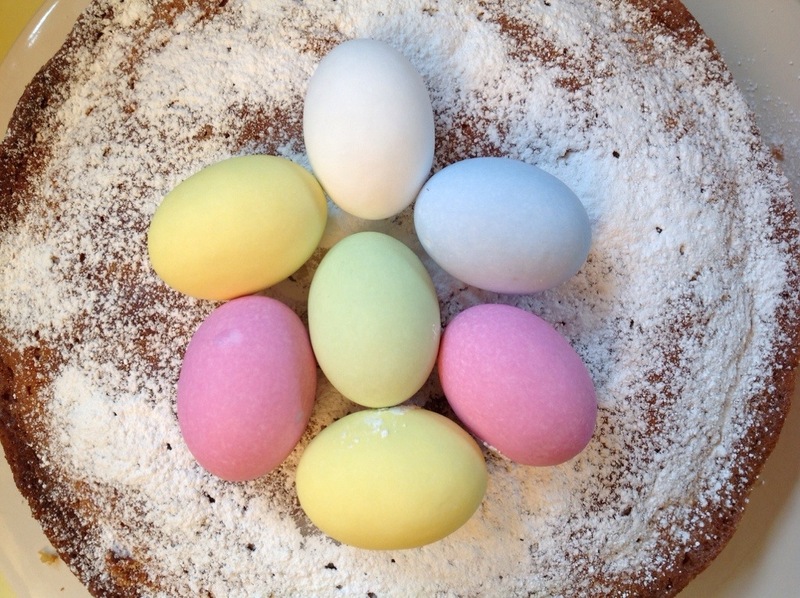 Your eggs do look so pretty and I could do with a nice slice of that gorgeous looking sponge cake.